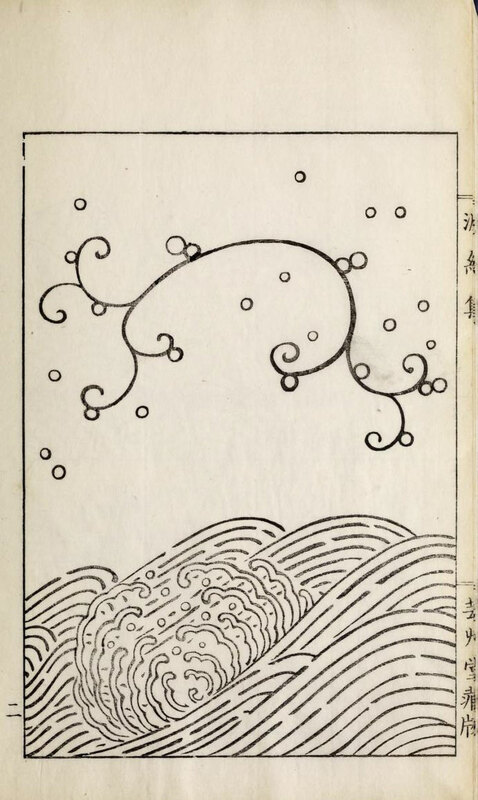 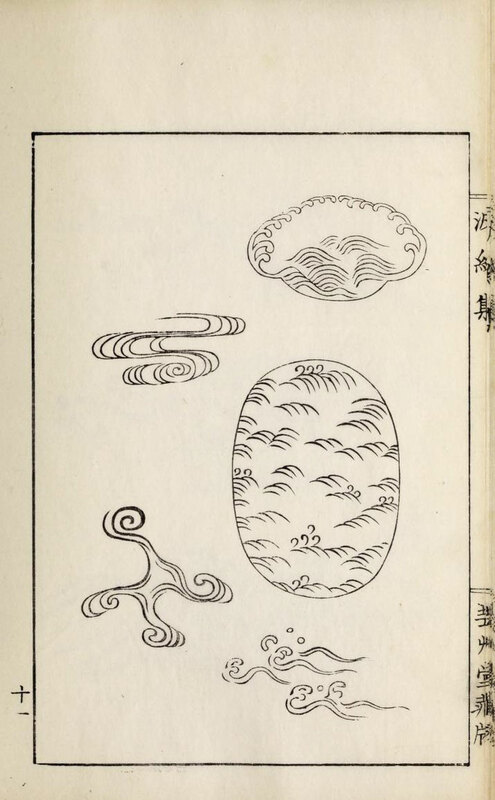 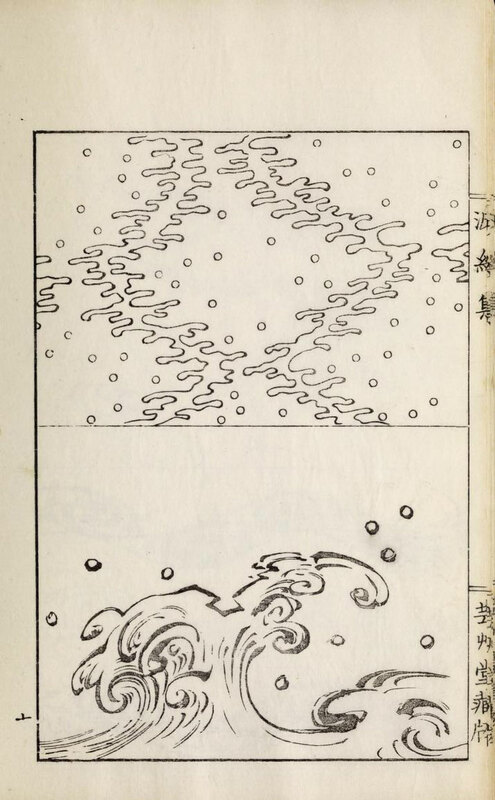 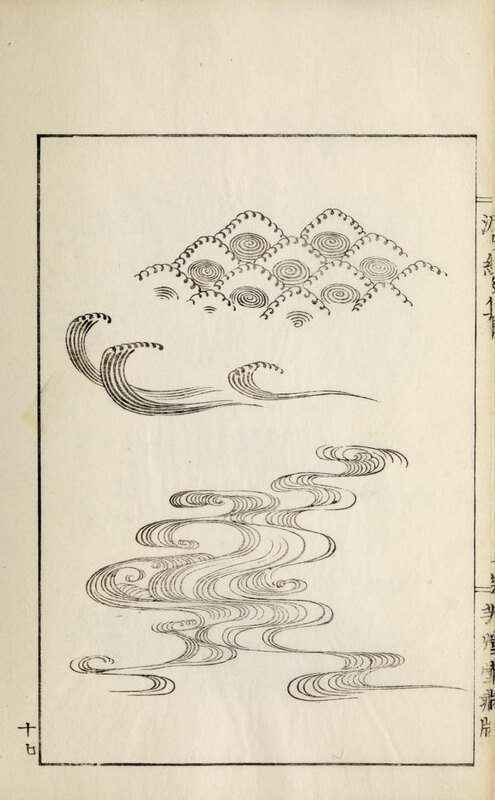 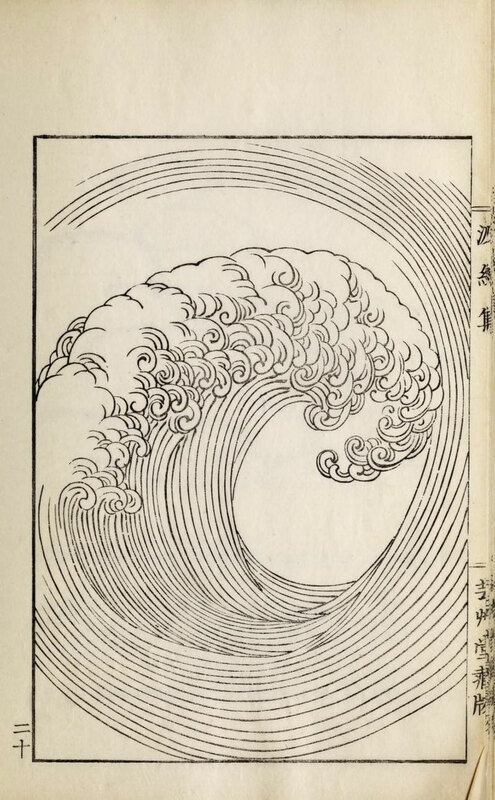 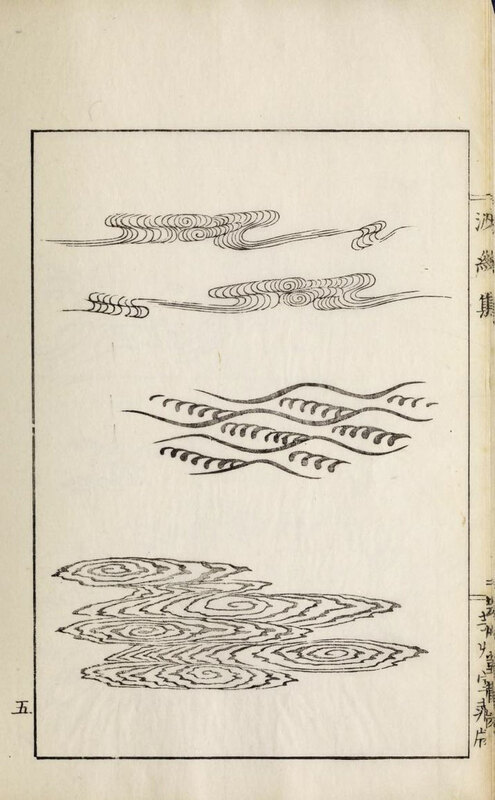 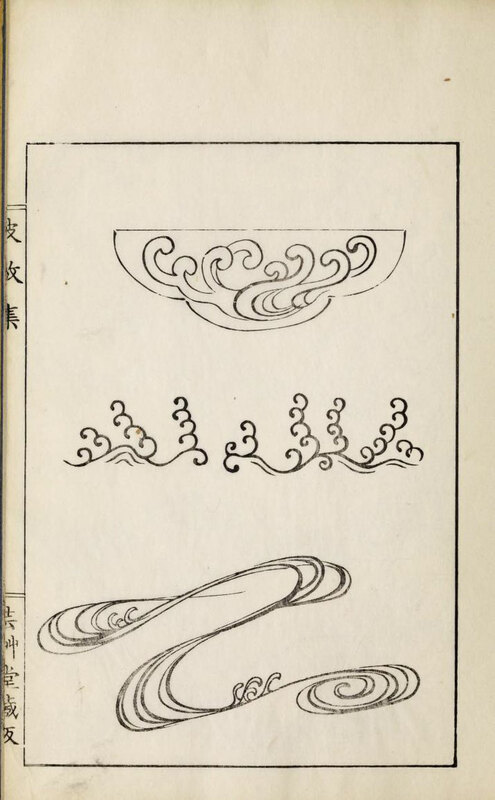 The Han Bu Shu by Mori Yuzan was published in 1919, it presents a wonderful collection of patterns of waves. 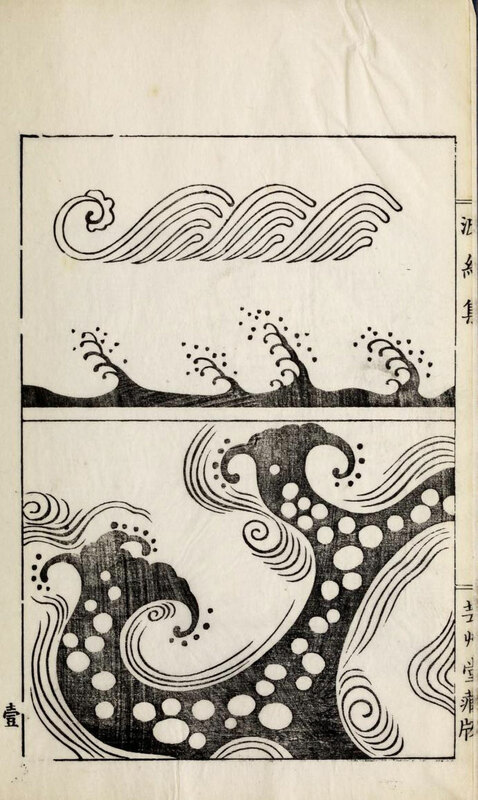 The artist, who lived and worked in Kyoto, is known for his painting and print work in the Nihonga style. 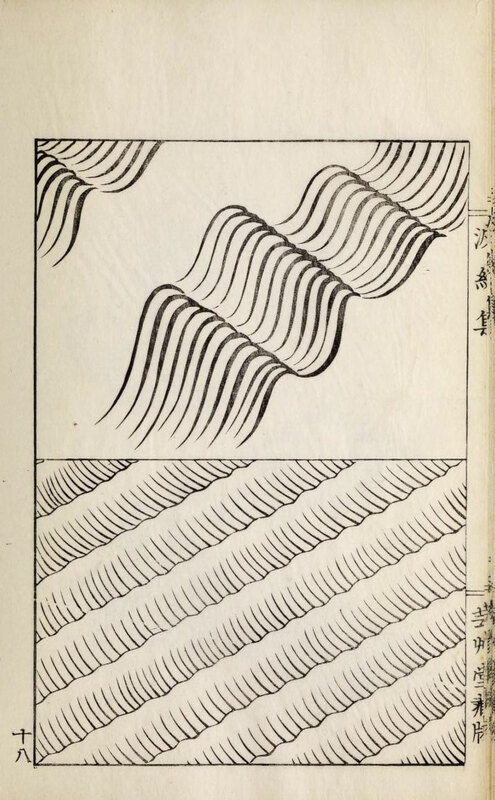 You can discover the full book on the Internet Archive and get inspired by the endless ways to design and stylize waves.